The City of Duncanville recently announced a partnership between Duncanville Fieldhouse and RISE Clothing. Expanding their leisure wear brand with a storefront location in the Fieldhouse, RISE Clothing will also offer their customers the ability to order online through the Fieldhouse’s website. Duncanville Fieldhouse has designated an area in their general store as a RISE Merchandise Store area. RISE is responsible for the cost of stocking merchandise, displays and equipment. In addition, RISE is paying the Fieldhouse a sponsorship, a monthly rental fee and a percentage of all sales net tax. 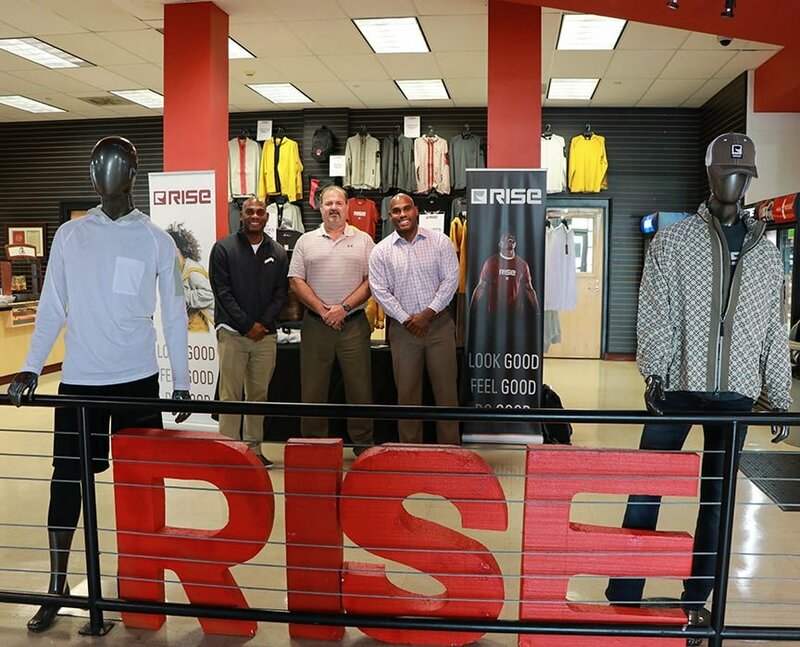 Partnering with RISE Clothing is a great opportunity for the city and the fieldhouse, said Duncanville Fieldhouse General Manager Craig Brasfield. Terrence and Tim Maiden, identical twin brothers, acquired RISE Clothing in 2015. The heartbeat of RISE is a passion to deliver a fashionable product that is well-crafted and comfortable while inspiring others to ‘RISE higher’. The Maiden brothers are natives of southern Dallas who attended Carter High School in Oak Cliff and Texas Christian University in Fort Worth. Tim said RISE is currently working on Fieldhouse branded apparel for staff and employees. They are also planning to create apparel that will be co-branded specific to the Fieldhouse. For more information about RISE Clothing, visit www.riseclothing.com. To order online, visit www.duncanvillefieldhouse.com. Purchasers may also visit the storefront during seasonal published hours, which are listed online.